So grateful for my workspace. It also serves as our dining room table and I keep it pretty clean for that purpose. I think that's one of its advantages- it keeps me tidy so I can approach my work with a feeling of lightness and openness. I've got a number of projects in process- hope to have something to share soon! 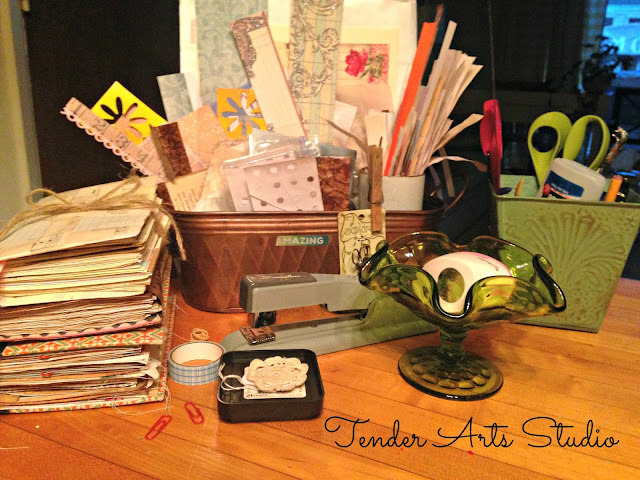 I'd love to see your worktable. Share? Thanks, Hope! Glad you stopped by!